There is 1 shop proposing this game for digital download at an average price of $ 1.99. 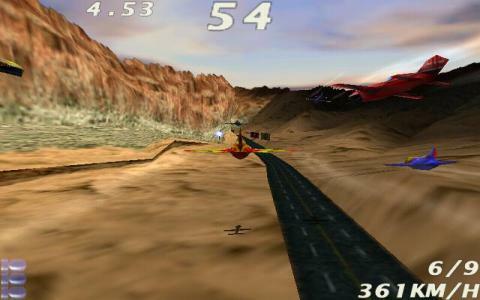 A planes...racer game; arcade and fun!. 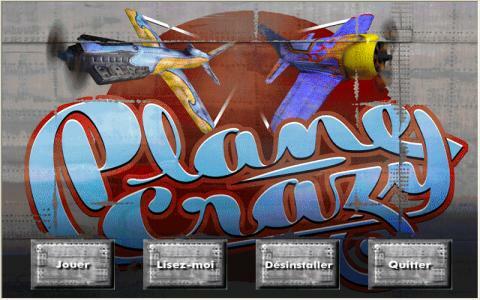 Plane Crazy is a combination of racing and flying game, delivered arcade style and very bright, very colorful. This particular game is taking aerial racing to the next level by allowing you to actually race against other pilots directly, seeing them and even interacting with them, if you're so unlucky that you will hit them in mid flight. All in all, Plane Crazy offers you 5 aerial tracks, which are delineated by aerial buoys, so you know where to head next, 3 tracks that are specifically designed for practice runs, so you can be at your best when you go on the actual competition tracks, and, also, you can unlock a bonus multi lap course, if you win a number of aerial races. Graphically it's a game that will mostly suit kids, colorful, cartoonish, very easy to control, with a physics implementation that is anything but realistic, though, surely, it is a lot of fun. 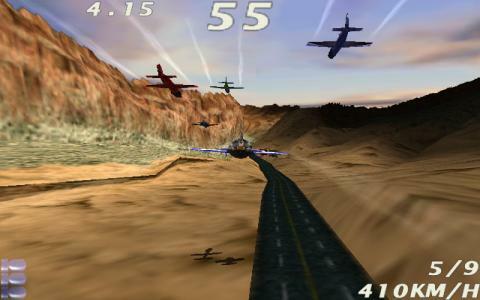 Other than that Plane Crazy is a very interesting, very intense game, and some of the tracks, with inner corridors and explosions are very enticing, very exciting to play. A good cartoony racer in a similar style is also Mad Trax, and, while you'll be gravity bound to the ground, that doesn't mean that you won't have fun! Planes be crazy, racing and stuff... This game is like a shot of adrenaline - it'll get you hyped, excited and on edge the entire time. There is absolutely nothing cooler than racing with jet planes. Add some great scenery and fantastic visuals, fantastic sound effects and soundtrack into the mix, and you've got yourself a fantastic and thrilling racing game. 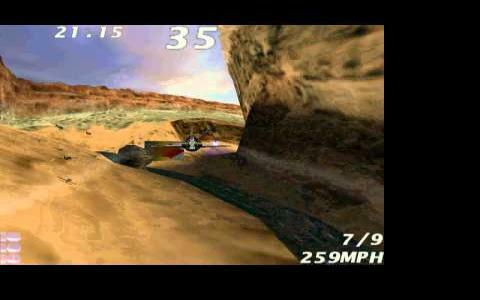 The game reminds me much of racing game Mad Trax, another great one, by its great scenery and graphics, and by the fact that in both games you can shoot your opponents to disable them in the race. 3D acceleration make the game very dynamic. The animation is absolutely stunning. I just can't describe how realistically the canyons and jungle and the rest of the landscape are made. There are tons of levels and tracks to choose from, you can even upgrade your plane to go better and faster. There is even an online multiplayer option. I just can't describe how much I love this game. I am a fan of racing games, and to me, this game goes way up high on my list. You just have to try this game. It will keep you awake until the wee hours in the morning.